It was a beautiful weekend for racing. Troy and myself competed together in a race for the first time in a few years. It was great. The Dirty Duo is one of the first races of the year and has a 50km run, 25km run, 30km bike, and relay. The day started early for Troy with a 7:30 am sign in and 8am race start. 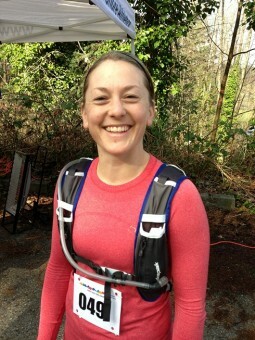 He did the runner's leg covering a grueling 25 km course on Seymour mountain. There was approximately 1000m of climbing and a pretty gnarly decent down a great mountain bike trail. Troy finished strong and with a really respectable time (he is a good runner...). 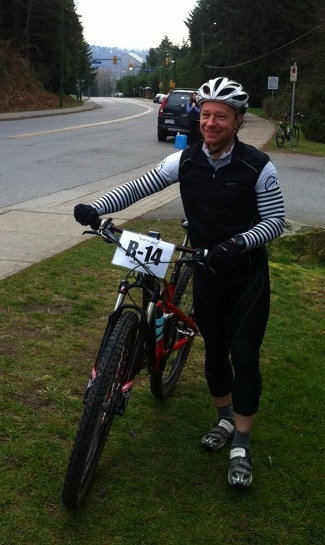 I did the 30 km mountain bike leg and was really excited to put my long hours of winter training to the test. It was great to reap the benefits of all that hard work as I had a great ride. We finished 6th in our category and 9th overall. Not too shabby for a couple of old guys... hahaha.